The world is changing – and the way public sector IT services are delivered and consumed must change with it. Embracing this revolution also requires a fundamental shift in thinking; while the public sector has been on a digital journey for some time, the traditional IT delivery models that have taken organisations this far are looking increasingly ill-suited to taking them any further. 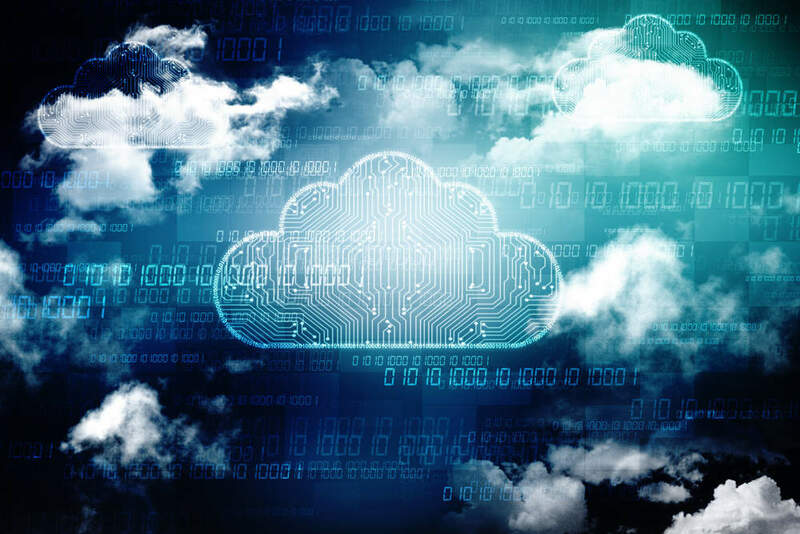 The cloud marks a fundamental evolution in what’s possible, enabling modernised digital services that can transform citizen access and service quality, while also substantially reducing costs across the entire organisation. Traditional ‘mess for less’ IT delivery models usually see a single partner managing an entire IT estate. Unfortunately, this approach not only leaves organisations struggling to keep pace with continuous digital disruption, but also hampered by weighty technical debt when they exit a contract. This IT services delivery model typically saw partners make valuable upfront technology investments in return for long, multi-year agreements. However, public sector organisations must think ahead: problems can emerge once the focus for partners becomes cost control, rather than keeping pace with growing requirements or preparing for the future. As a result, IT assets are ‘sweated’ long after they should have been retired. Systems that initially looked over-provisioned can be left struggling to cope after several years of changing user needs and growing application requirements. Meanwhile, a partner’s digital skills will also be focused on squeezing value from yesterday’s technologies, rather than embracing the innovation of today. Service Integration and Management (SIAM) strategies attempt to address these issues by moving public sector organisations from a reliance on a single partner to a multi-stakeholder approach, with different ‘owners’ for separate areas of infrastructure and operations. But effectively coordinating these partners is a considerable challenge and risk to the organisation . Whether public sector organisations take an in-house or third-party approach to coordination, SIAM usually results in added complexity and no obvious cost-savings. To enable public sector organisations to achieve true digital transformation, IT delivery models need to focus on outcomes, not inputs. Whether public sector organisations specify their technology requirements to a single partner, or oversee the integration themselves between multiple organisations or providers supporting different IT pillars, traditional services and technology procurement always requires smart buyers with in-house expertise. Harnessing the cloud’s unprecedented capabilities, however, demands a new skillset that public sector organisations often struggle to access internally. Hiring ‘cloud-based’ versions of traditional skills isn’t enough; entirely new ways of approaching and solving problems are needed to squeeze the greatest value from today’s hyperconnected and rapidly evolving digital ecosystems. To meet this challenge, technology partners must enable public sector organisations to speak in terms of outcomes. With the ability to focus on what they’re trying to achieve, as opposed to defining the specific technologies, public sector organisations can drive IT innovation much more effectively. Organisations looking to replace their current technology partner, or lacking the capabilities to in-source, should consider that now may be the right time to select a new type of provider to help kickstart their cloud journey. Unlike the large, monolithic contracts in traditional IT delivery models, the cloud enables smaller and more nimble service-based agreements. By developing a mixed IT estate that integrates on-premise and cloud-based resources, public sector organisations can reap enormous benefits: driving greater reliability, scalability and service quality, while reducing delivery costs. Unlike traditional IT delivery models, cloud services also offer an IT paradigm that’s future-ready. Cloud adoption unleashes a host of technology innovations that the public sector doesn’t have the capacity to build or run internally – from big data analytics and business intelligence, to the Internet of Things (IoT) and artificial intelligence (AI). Better still, these cloud-based capabilities are all designed for easy integration with each other, allowing public sector organisations to build exceptional citizen services that harness multiple cutting-edge capabilities. Meanwhile, fully-managed cloud services also ‘free up’ in-house staff from more mundane IT management allowing talented people to undertake more interesting and meaningful tasks. For instance, developing and using skills in data and coding enables public sector IT teams to become agents of change, harnessing the cloud’s capabilities to accelerate innovation and enhance services. Of course, to manage cloud transformation successfully, organisations first need a clear vision for the future. Expert, impartial support is needed to identify the right IT strategy and target operating model, as well as build a fully-costed business case. With an actionable roadmap, organisations can make the best possible decisions and de-risk cloud adoption – making the process faster, safer and simpler to manage. Ultimately, that means savings start sooner and new services can be brought online faster. With expert support, the cloud’s value can also be increased over the long-term: flexibly scaling services up or down, ensuring organisations only pay for what they need, and exploiting new cloud capabilities as they emerge. Know what you want: Develop a clear cloud strategy and vision at the outset. Achieve ‘buy-in’ for cloud transformation across your organisation. Look for a complete cloud approach: Beware of the cost of leaving infrastructure behind. Right-size your cloud migration to reduce time, cost and risk. Don’t delay: Accelerating technology change means the need for transformation is inevitable – the later you leave it, the greater the pressure. Download our practical guide to cloud transformation to help you make the best possible decisions when considering cloud adoption – making the process faster, safer and simpler to manage.